*Knowing Your Competition:* Carl Edward used his No. 99 Roush Fenway Ford front bumper to execute a “bump and run” pass on the No. 18 Joe Gibbs Racing Toyota driven by Kyle Busch on lap 470 of the 500 lap Sharpie 500, a maneuver that proved to be the winning move of the race. “It’s one of those deals where I couldn’t get by him, I couldn’t get by him, and I just had to ask myself, ‘Would he do that to me?’ And he has before, so that’s the way it goes.” Kyle Busch, before hearing Edwards’ explanation of the aggressive driving, predicted that Edwards would say, “He didn’t mean to do it and is sorry.” Apparently Carl felt no need to be apologetic...Kyle. Fantasy Picks ‘N’ Pans: Is Someone Else Worth Picking Over Kyle And Carl At Bristol? August 20, 2008 Bryan Davis Keith, Cup Series, Fantasy Insider, Mike Neff Comments Off on Fantasy Picks ‘N’ Pans: Is Someone Else Worth Picking Over Kyle And Carl At Bristol? The toughest ticket in NASCAR. Jet fighters in a gymnasium. Bristol has been nicknamed many things; but when it comes your fantasy team, it's likely been called something we can't print on this page in front of you. Indeed, Saturday night's 500-lapper is the one race left you're cursing out on your schedule, almost as much of a crapshoot for fantasy players as Talladega or Daytona. With cars lapping the track in just over 15 seconds, it is very easy for a driver to get caught up in someone else’s problem; and the danger is even greater now that the track has been resurfaced and there are multiple racing grooves. With so many driver's success or failure dependent on luck, this speedway is bound to offer you more questions than answers heading into the weekend. Will Kyle Busch continue his winning ways? Can Carl Edwards win the night race at Bristol again? Is Tony Stewart finally going to break the winless streak? Can Dale Earnhardt, Jr. avoid another pit road issue? Will Jamie McMurray continue his run of strong finishes? Only this week’s Picks ‘N’ Pans will tell you which guys you should keep on your roster and which ones should be riding the bench after spending half the night with crumpled sheet metal in the garage. *The Watkins Glen race had several road course ringers in the field but, as usual, a Sprint Cup regular won the race. Is there really any advantage for replacing a team’s full-time driver with a road course specialist? * Matt T.: Ask the Wood Brothers. Kurt: Of course there is; there's money involved. Racing is expensive. Plus, there is the matter of getting the car in the Top 35 in owner points, and a good finish will do that. Bryan: The No. 01 team would agree with you, Kurt. Last week I started my very own hypothetical race team and picked my short list of the most talented drivers racing in Sprint Cup today. Any of the five would make a strong start for a new team for sure, and talent like that should attract sponsorship to the team as well. But I said I wanted to start with a two-car team, and being an upstart, I might not get all the top talent I’d like to have. So what to look for in a second driver? Well, part of success in today’s NASCAR is marketability. That’s right, the ability to look good on TV and push a product to its intended demographic has become increasingly important. I’ll admit, I’ve never quite gotten it--after all, shouldn’t driving ability be paramount? But it’s not always that easy. These days, in addition to being able to wheel a car like he stole it, a driver has to look good on television, be able to speak flawlessly to a group of VIP’s, act in commercials if the sponsor so desires, and do windows. Okay, so I made the last one up, but it’s not really that far off. Today’s driver cannot simply be a driver anymore. 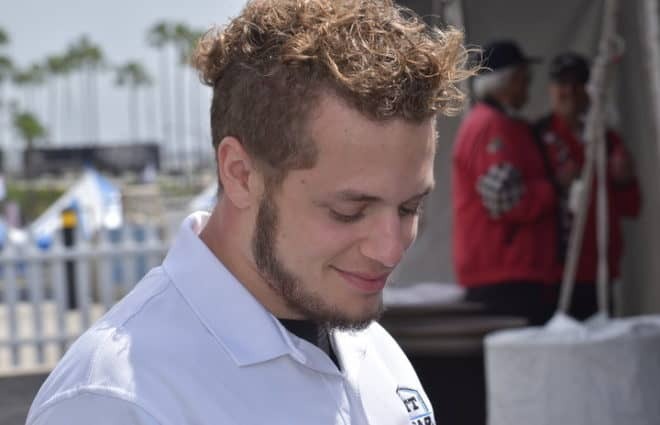 That’s why, with the notable exception of Dale Earnhardt, Jr., I paid special attention to drivers outside the typical NASCAR spotlight--the guys who always seem to find a ride because of their personal appeal. 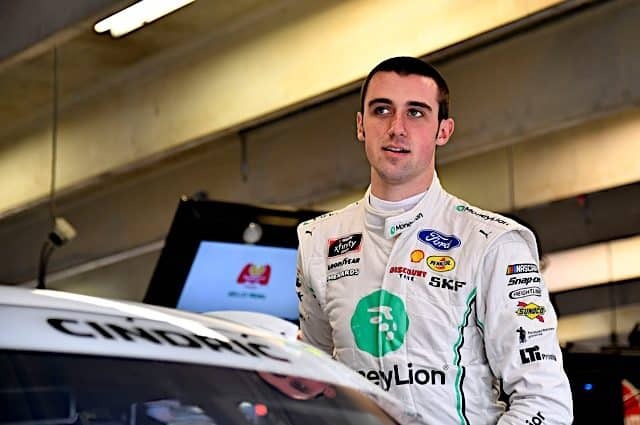 Here’s my list of five guys in Cup who have those intangibles needed to woo and impress sponsors and fans alike--even if they don’t always get the spotlight. Hopefully, you enjoyed your off weekend and your fantasy team got well rested -- because man, will they wind up needing that break. This weekend’s Brickyard 400 kicks off a grueling 17-race stretch to championship weekend at Homestead, and it's time to get everything geared up and ready to go for the Fantasy home stretch. Unless you went way out on a limb with your picks at Chicago, you likely didn’t see your team get blown away in the Windy City. But with the prestige of winning at the Brickyard up for grabs this weekend, every team is going to be bringing their "A" game this Sunday. As you prepare your team for a race of historic proportions, keep in mind the delicate balance between picking a driver who is hot at a particular track and which drivers were running well _before_ the break ... but not three months before. Confused a bit yet? We'll sort it all out for you; just take a deep breath and get ready for the long week ahead by reading the latest edition of Fantasy Picks 'N' Pans. As teams approach one of the most prestigious races in the Sprint Cup Series and fans and drivers are refreshed following a rare off weekend, it's a perfect opportunity to recognize some of the streakiest drivers heading into this year's Brickyard 400. Of course, one man has been in a league of his own all season - but another driver has surprised in mirroring Kyle Busch's points total over the past nine races. Who is that famous wheelman giving Busch a run for his money? And who's season is suddenly running on life support after a strong early start? See who are some of the worst drivers in the series as of late, and who has an opportunity to kiss the bricks on Sunday by checking out this week's edition of Who's Hot / Who's Not in Sprint Cup. The Sprint Cup Series heads to the Windy City this weekend for another intermediate race track. For the first time, the race will be held under that lights at Chicagoland Speedway leaving many fantasy gamers a little nervous. 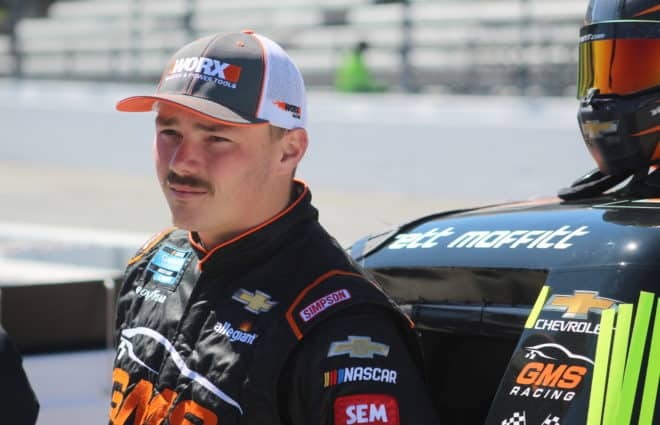 Some drivers are on a roll and momentum certainly plays a role in the sport. Others very well may be on a mission from God. With recently announced driver changes and NASCAR penalties, who knows what also might be playing with the psyche of combatants this weekend. Read on to see which drivers our experts feel are driving on a full tank of gas with half a pack of cigarettes wearing sunglasses in this week’s Picks ‘n’ Pans. *Crank ‘em up:* A blown Goodyear Eagle is all that kept *Jimmie Johnson* from winning the race at Chicago last season. Prior to the tire failure, Johnson led 82 laps and was among the fastest cars in the field. 2007 wasn’t the first time Johnson ran up front at Chicago. Minus his 37th place outing last summer, Johnson has never finished a Chicagoland race outside the Top 10. Mirror Driving: The Busch-Montoya Scuffle, A Silly Season Shuffle, And Saving The Truck Series With…The IRL? July 1, 2008 Mirror Driving Comments Off on Mirror Driving: The Busch-Montoya Scuffle, A Silly Season Shuffle, And Saving The Truck Series With…The IRL? *Juan Pablo Montoya received a two-lap penalty during the LENOX Industrial Tools 301 at New Hampshire for rough driving after intentionally spinning Kyle Busch under caution. Montoya said it was because Busch ran into him several times before that incident. Was the penalty fair, or was Montoya in the right? 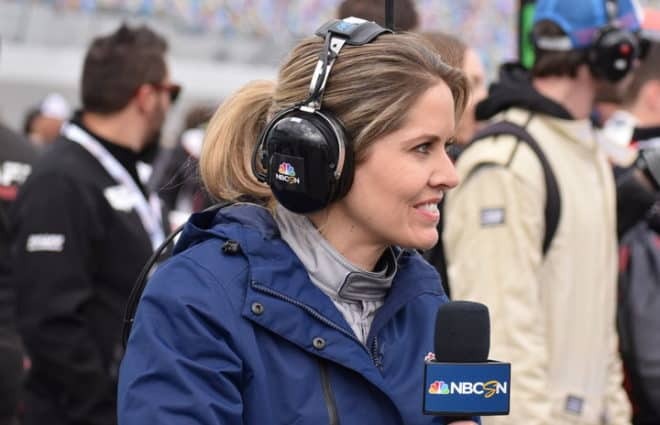 * Amy: It was fair, but what pissed me off was NASCAR's refusal to penalize Aric Almirola for the same offense. Bryan: The contact between Busch and Montoya on its own didn’t warrant it, but seriously, Busch deserves to be spun every race for the duration of the season. NASCAR should have left it alone. Tony: It was fair, especially because the spin came under caution.